Parents who believe they’ve dodged a bullet because their toddler isn’t showing traditional symptoms of the “terrible twos” shouldn’t break out the champagne quite yet. The period between ages 2 and 3 has been known to try the patience of the most even-tempered parent, because this is when those precious, mobile toddlers begin to assert their independence. Finding engaging ways to encourage and engage kids of this age without discouraging, begs the question, what exactly are the best educational gifts and toys for toddlers? As your toddler learns to communicate, assert herself, express ideas and assume that the world revolves around her (or him), you’ll be faced with new challenges. In fact, this stage of emotional growth gives you a window into how your toddler will behave as a teen, say researchers at zerotothree.org! Happily, there’s a light at the end of the tunnel: educational gifts and toys for toddlers do a great job of diverting mood swings, boosting a child’s curiosity, mediating frustration and the growing sense of entitlement that comes with this age group. So, when you shop, remember that educational gifts and toys for toddlers are designed to be more than fun; they also serve as learning tools and the occasional parental sanity-saver! 1. Your toddler may decide he wants to be a nudist. He’s having fun, grabbing control and being spontaneous. A toy helps divert his attention while you get him into a diaper or pull-up pants. 2. Toddlers typically go through a stage where they bite everything in sight. This could be an expression of anger, frustration and/or just teething. An educational toy can do a lot to distract a child when he exhibits this behavior. 3. The ability to control extremities can impel toddlers to hit everything in sight. Handing over a toy forces toddlers to use those arms for play, rather than mayhem. 4. Most toddlers try to sample their bathwater. Bathtub toys make great diversions–until she realizes that water from a Sippy Cup tastes so much better! 5. The nose knows. And sometimes, toddlers treat their nostrils like receptacles. Divert their attention by substituting a toy so marbles, raisins and the occasional cat treat don’t wind up deposited in noses. 6. One minute, they’re tranquil. In the next, they’re shrieking at 100+ decibels. Your toddler is experimenting with sound or letting off steam. It’s normal. A fun toy can distract a screamer fast. Description: Talk about value for your money: for under $30, your toddler gets 56 separate pieces plus a magnetic quadrangle made of rugged, 100-percent non-toxic ABS plastic to “build” whatever comes to mind. 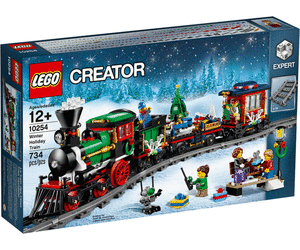 Clean-up is fast; the set comes with a storage bag and you’ll be happy to know that the pieces are too big to fit into noses! Edges are smooth, so fingers stay safe and even if a few teeth sample an edge, you needn’t worry. The manufacturer is so sure your toddler will love this gift, it comes with a 100-percent money back guarantee. Developmental benefits: Toddler minds are keen and nimble, so you won’t have to sit down with her to teach her how to play with these block tiles; it will come naturally. She could surprise you by being a natural at combining patterns, but if all she wants to do is built a tower and knock it down, that means her brain is working overtime. 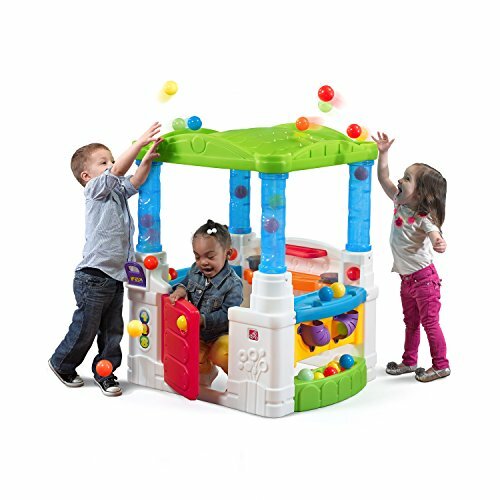 The ideal gift choice for the child eager to test his fine motor skills, this STEM educational toy boosts cognitive development, stokes imaginations, encourages creative thinking and–in the event your toddler is willing to share–she gets an early lesson in teamwork, even if that lesson only lasts for 5 minutes. Description: Your toddler probably notices that when nice weather arrives, you’re all about the outdoors, so why not build on this healthy way to get fresh air than by giving the gift of adventure? Everything that’s needed to be a proper explorer is included: backpack to carry supplies, toy binoculars, a whistle, flashlight, compass and magnifying glass to check out bugs that land on the flowers in your yard. 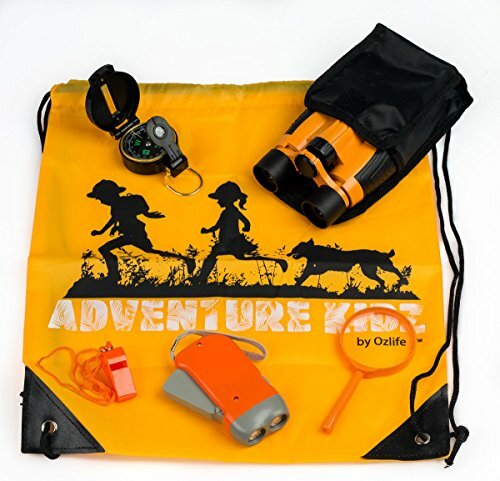 Both educational and fun, this Ozlife kit tickles imaginations, so when you take out your binoculars or turn on your flashlight, you’ll have a little helper at your side as you explore the majesty of Mother Nature through the curious eyes of your toddler. Developmental benefits: Can a child learn about the wonders of nature early enough? Not according to Ozlife, the company producing this imaginative kit. Teach your toddler to focus binoculars with 4×30 magnification and his fascination with things not visible is likely to kick into overdrive. Solid construction of each piece of child-sized equipment can’t be destroyed-even in the midst of a temper tantrum. If your family camps, your toddler can return home with more confidence, and if she masters that compass, you are entitled to claim all bragging rights. Description: When introducing your toddler to this collection of bath tub toys and the organizer bag designed to keep everything corralled, she may not be tempted to sample her bathwater because she’s too intrigued by colors, shapes and possibilities. There are 52 items in all and 26 of them are puzzles, so variety rules. Soak those oversized alphabet letters so they float or encourage your tot to stick them on tiles and tub surrounds. If he notices letters can be strung together to make words, that’s one of the easiest ways to start building recognition skills that lead to reading. The puzzles are challenging and entertaining, so bath time becomes learning time. Developmental benefits: All toddlers learn at different rates. You get a front row seat on his development level by providing this library of big letters and puzzles. They can be creatively arranged on the water surface or on the wall. Light but solid, each letter becomes a teaching opportunity as you repeat, “D is for Dog,” “M is for Mouse” or “T is for Turtle.” Little fingers gain dexterity by switching letters around while learning animal names. An ideal gift choice for both genders, this bath toy builds shape recognition skills and could make bath time your toddler’s favorite time of the day. Description: As brand names go, you’d have to be living under a rock not to have heard of LeapFrog. Producer of educational toys that have been delighting toddlers since 1995. Inventor Michael Wood was frustrated by his son’s early reading problems, so he developed products to assist all children. My Own Leaptop resembles a laptop but functions as a learning aid. Toddlers can emulate their parents by sending pretend messages. At the same time they have no clue this engaging computer is also teaching them to master the alphabet. Animations displayed on the big screen introduce games and music. If you find your toddler memorizing the lyrics of 16 peppy tunes, consider your gift choice a big success. 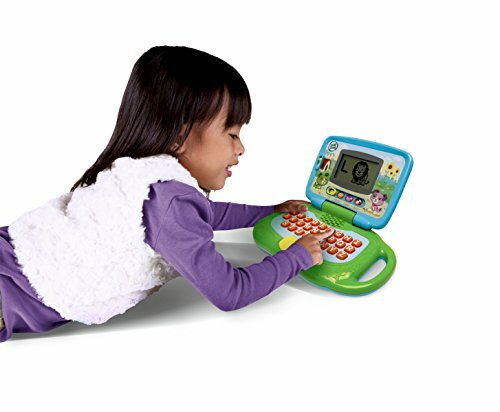 Developmental benefits: Emily Dickenson coined the phrase “Let me count the ways” when writing her iconic poem, but you’ll quote her when you observe your toddler benefitting from the workings of his Leaptop. Eye-hand coordination is improved as kids engage the “keyboard” while learning the alphabet. Curiosity is stoked each time toddlers recognize songs, images and features. It’s all pretend, but with each discovery, brain synapses create associations leading to familiarity. When he’s no longer a toddler, this sturdy Leaptop is an ideal pass-along to a younger bro or sis. Description: Relax. These fun eggs are too big for pretend snacking. So, give the gift of a dozen in a carton that’s just like the one Mom opens to make breakfast. Each egg has its own nesting cradle so clean up after play time is fast and efficient. Every egg features distinct colors and numbers. These help your toddler solve rudimentary puzzles by figuring out how to link corresponding pegs and holes. Once she understands how to put half-eggs together, she receives instant gratification. At the same time learning to identify numbers and colors. 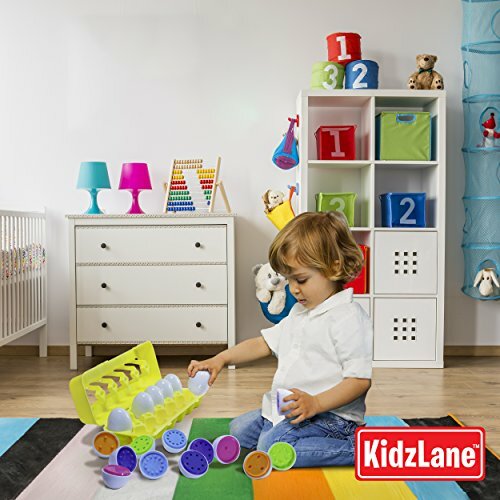 This affordable gift, says Kidzlane, is built to last and the plastic materials are child-safe. So there are no worries about toxic materials. Developmental benefits: You can expect to see a couple of outbursts as your toddler figures out that those pegs and holes must be lined up to put each egg together. However, mastering the move furthers the development of her fine motor skills. By the time she’s able to link up all 12, her confidence and feelings of self-assurance lay the groundwork for the years ahead. Color and number recognition help brain development. But it’s the fun of solving those peg and hole puzzles that ups a toddler’s learning acumen. Designed specifically for little hands with tiny fingers. These eggs make ideal learning aids for toddlers as young as 18-months. Description: Perhaps your toddler doesn’t deserve a “laptop” because he’s been biting, kicking, hitting and drinking bathwater. You hope a less expensive present from the company you admire could show him that you’re ready to forgive and forget. 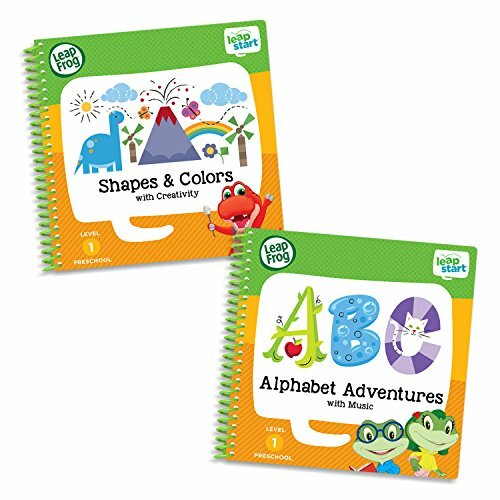 So consider the LeapStart Preschool activity book loaded with shapes, colors and opportunities to problem solve. LeapFrog calls this book a “dino-mite” adventure. It encourages toddlers to mix, match, identify and otherwise engage with 14 shapes. 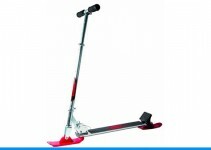 This toy offers 40+ activities. When your toddler successfully accomplishes one, present him with a reward sticker since 25 of them are also included. Developmental benefits: Recognizing colors and identifying shapes is one of the best ways a parent can assess their child’s intellectual development. However, it’s the creative moves he makes that up the ante and prove that your toddler is either on track or perhaps ahead of himself. If those pattern identifications and extensions prove he’s behaving more like Einstein than his pre-school peers, you can thank LeapFrog product developers. After all, they’ve packed so many experiences within an educational aid that promotes early learning and prepares toddlers for preschool. Description: Is it too early to show your toddler the importance of keeping tabs on appointments and the finite character of time? Not in today’s world where an appreciation for time management can’t begin too early. 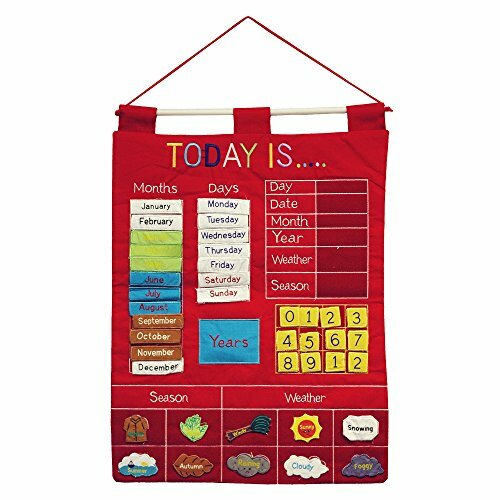 This red wall hanging uses colorful appliques and embroidery to introduce toddlers to the weather, the seasons and the calendar. Thanks to the miracle of Velcro, appliques can be moved around so your toddler keeps track of the movement of time and its relationship to family planning and scheduling. This updatable product looks cool on the wall of a 2-year-old’s room. However, your toddler may not “get” the value of this chart until he’s closer to 3. Developmental benefits: The ability to control one’s environment based on time management may be lost in translation for a 3-year-old. But she gets the fact that it’s snowing outside, there’s no pre-school on certain days and that by moving things around, she gets to show you that she’s learning. That she’s able to make sense of the way days, weeks and seasons are organized. 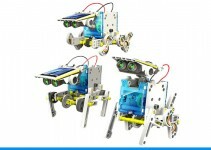 This hands-on teaching device gives you opportunities to bond with your child. Don’t be surprised though, if you walk into her room and she tells you that she’s already updated the chart! 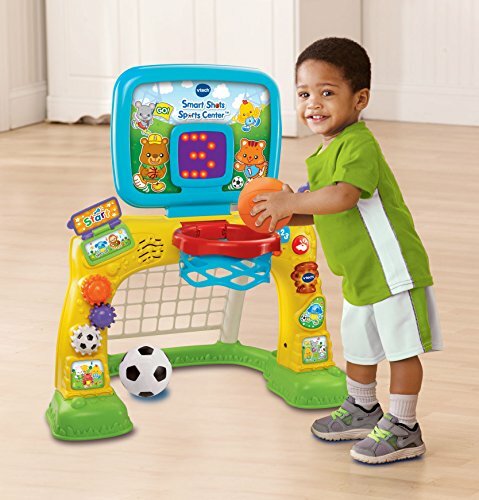 Description: Score big points with your toddler by giving them a VTech Smart Shots Sports Center. She or he can learn the art of “nothing by net” before she’s big enough to dribble. This electronic rig has been named a #1 Best Seller by numerous resources. You won’t be the first parents to appreciate the simplicity and design of this product. Scoring goals is just one aspect of this toy: Once the ball goes through the hoop, an animated LED scoreboard counts up to 10 baskets to wrap up a series. At the same time a “virtual crowd” of animations plus 50+ sounds and phrases motivate and reward your pint-sized player. 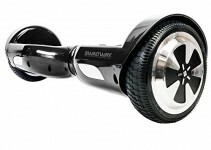 AA batteries power this toy. Developmental benefits: The most obvious perk of giving your toddlers a sports-related toy starts with the development of eye-hand coordination. But as you already know, playing sports also relies upon the mind. Your child will quickly ascertain the best place to stand before tossing that ball. The encouragement of that virtual crowd accompanies every ball that’s sunk. Once she understands the purple reset button, she’ll figure out how to begin a new game. Learning to recognize shapes, numbers and sounds is peripheral to the physical activity that entertains, delights and offers hours of diversion for kids with energy to burn. Description: Remember what we said about toddlers’ propensity for putting things in their mouths, nostrils and perhaps their ears, too? Well, this product is going to test that theory because kids who delight in sitting in mom’s shopping cart at the supermarket could go wild over having their very own food to command. Forget the plastic food you played with as a kid! The world’s a gastronomical feast which is why kids find sushi, avocados and croissants among the 70 different food items in this set. Plus kitchen aids used for food prep. Everything’s realistic and non-toxic, having passed ASTM safety tests for U.S. toys. Impromptu play time just got delicious. Developmental benefits: Not everything your toddler craves requires batteries or technology. 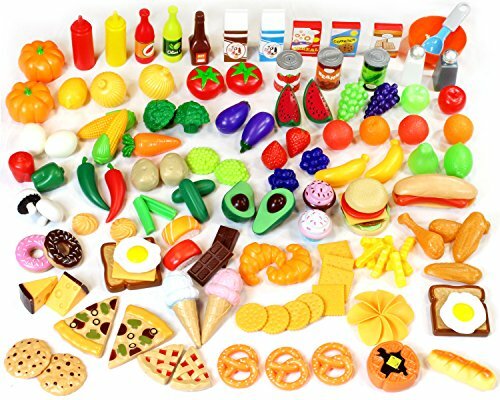 This 135-piece collection of realistic play food can drive play forward. It can jump start imaginations as a playroom morphs into a kitchen, grocery store or farmer’s market. The play food is designed to accessorize the Melissa and Doug Kidcraft kitchen set. However, that doesn’t mean these fruits and veggies won’t trigger all sorts of fun on their own. As a matter of fact, opportunities for sharing, trading and arranging foods multiply when toddlers get together and are left to their own devices. Description: Having just introduced the popular Melissa & Doug toy brand, we have good news if you worry that your child might try to eat plastic toast because it looks too real. Instead, choose this wooden educational toy that delivers on innovation and practicality plus nostalgic wood crafting. 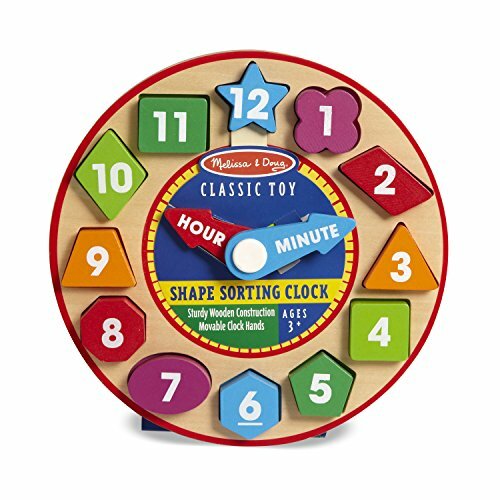 Highly-rated by parents who appreciate quality construction, this clock includes 12-removable to pieces help toddlers learn about telling time and they can move around the hour and minute hands, too. Simple and beautifully crafted, this clock is designed to be enjoyed by toddlers ages 3+. Developmental benefits: By manipulating the clock’s hands and discovering that 12 numbered pieces fit only into matching recessed slots, toddlers learn to try again when a piece won’t fit and then enjoy the success that comes with getting it right. Extension activities “reinforce early-learning concepts,” say developers at Melissa & Doug, so your child’s motor skills are enhanced as the concept of time gels in minds. If you appreciate wood-crafted toys that have become a lost art, you may want to introduce your toddler to this clock so he starts out understanding that not every toy requires batteries nor flashes like an electronic billboard!